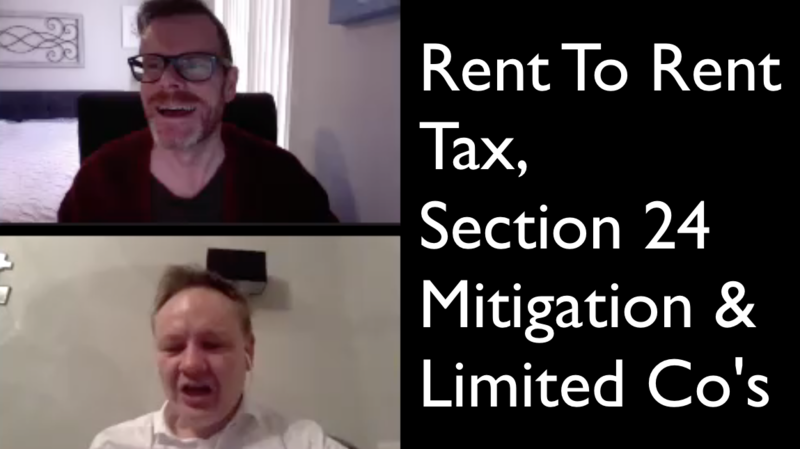 In this in-depth interview, property tax expert, Simon Misiewicz explains the tax benefits of a limited property company. Simon also highlights when a limited company is NOT a good idea. Simon Misiewicz: We'll talk about limited companies now. Now, the one thing about limited companies is structures. So we've mentioned earlier that even for rent to rent, you may want to use them in this company. And the reason for that is because you want to minimise the amount of risk. If you've got properties that you're doing rent to rent in your own name then the line is with you and it can affect all of your assets. So one of the things that might want to use limits company for is not just for tax planning, but it's also for risk mitigation as well. So again, if anything should should happen to a tenant: someone dies in a property, then the liability stays with that limited company. It cannot affect your personal assets. So from a risk perspective and for tax planning, that why lots of people use limited companies. This slide in particular is just showing you how much money you can take out of a limited company tax free. A lot of people will sit there and say: well, actually, the personal amount is only £8,424. Well, that's true. But you do also have this extra 2000 pounds worth of dividends that you can take out of your limited company, which means, in effect, you can earn 13,850 pounds without paying anything to HMRC and I'll say that's got to be good news for everyone. If you take more money out of your limited company. If it is making better profits than the 13,850, then you need to be aware that as a basic rate taxpayer, you will be paying 7.5% tax on any dividends distributed to you. As a high rate tax payer, that is increased to 32.5% and then it goes up even further to 38.1% as an additional rate taxpayer. Now, if you're an additional rate taxpayer, one thing I would say to you is that you've already paid corporation tax of 19%. So you've got to add those two numbers together, to work out what the total tax has been for your company and for you as an individual. A couple of other things that you can do with a limited company. These are things that people don't really talk about, but it's something that I'm always preaching to my clients, is that your limited company can contribute towards your personal pension. So albeit you're looking to have properties. I would say that it's good idea to have pensions, because it allows you to reduce the profits of your limited company, which means you pay less tax. You're getting the money out of the company into your own personal estate again. And don't forget that you can use money in a SIPP or SASS pension to buy even more properties. Anyway, so it's a very good idea to invest in your personal pension and to reduce your tax bill at the same time. There are ways of paying for private schooling through your company as well. That's pretty much phased out nowadays, but there's still opportunities for you to pay for after school care through your limited company using care vouchers. And those care vouchers would be allowed to be offset against your income in your limited company. Pay medical treatments: for anyone over 40 listening into this, you should be thinking about having a well person check every single year. Health deteriorates as we grow older, so it's always a good idea to book in a medical checkup and those medical check with private doctors will be allowed to be offset against your limited company. So another bonus. Everyone likes to celebrate, and why not? Coming up to Christmas, or you have a great event or you do record profits in your rent to rent business, then why not celebrate by taking your staff out and you can go to a nice restaurant and pay up 150 pounds per annum per person. So you can only do it once really. As long as it's not over 150 pounds, none of that will be a tax benefit. It can be offset against the company's cash as well. So it's another way of getting money out of the company, to treat you as a director or shareholder. Your limited company can also pay for life insurance. So if you want to pay out on your death, then your company can do that. And you can also give up to 300 pounds worth of vouchers to be given to your employees. Now as employees, it's unlimited but most people I speak to are directors and shareholders of their own company. So there is a limit of three hundred pounds worth of gift vouchers that to be given to your directors and shareholders. What I would be saying on that to you, is don't buy 300 pounds worth of vouchers all in one go. What you've got to be doing there is it's 50 pound vouchers, and you give those out to yourself once every month or so. And those vouchers: 50 pounds or under, again would be allowed to be offset against your company profits and therefore reducing tax, but it would not become a tax benefit in kind to you, so no need for you to pay income tax on those kind of items. Lastly on here is Perkbox so Perkbox is an app that sits on your phone, your company will pay maybe 7 pounds 50 towards it and it will get you high street discounts, so John Lewis is an example. I think it's five or five or 6% discount. You get free phone insurance using Perkbox, you can go to restaurants and most times you get between five and 15% off those restaurants. So hopefully I've demonstrated many ways of extracting not just cash out of a limited company, but other kind of good items as well. Were you aware of all of these items John? Simon Misiewicz: Yeah Perkbox is really good. I love it. It's it's one of those things that you can combine these items as well. So if you get a 50 pound voucher from your company, with your company pays, you then use that on Perkbox, so John Lewis vouchers and instead of just the 50 pound voucher which has come from the company. So it's free. You can get items for about 56 pounds. So, you know, combining those two a really, really good way to reduce your own lifestyle expenditure I would say. I've had several conversations with my clients about people about the use of limited companies as well. 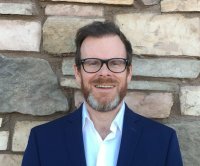 At what point is it worth me using a company structure, and what point is it not worth it? And this is a quick example I gave to a particular client and said, well, imagine on the left hand side you had all the income in your name. I'm gonna ignore National Insurance with for now. This one is if you've got trade activity but we're talking about property, so let's just stick with income tax right now. And if you've got hundred thousand pounds worth of revenue in your name and this is ignoring Section 24 as well. But your income tax bill of having those levels of income is 28,350. Now if you compare that in a company: same hundred thousand passwords profit but you extracted 100,000 pounds out of that company. If you go straight to the bottom there, you'll see that the total tax is actually 36,761, which is actually more than the 28,350 if you left everything in your own name. Please do note that even though I'm showing 8000 pounds for the saving, because of Section 24, it's unlikely to be that much saving in terms of tax. But what I'm trying to show to you is, it's not always tax beneficial to have a limited company if all you're going to do is rip every single penny out of it. Where it does work is here buying a company that's generating say 100,000 pounds profits, same numbers, but instead of extracting the hundred thousand pounds, you're only extracting 50,000. The amount of tax that you'll pay is now shaved down to 20,511. Which is which is less than the personal tax, by 8000 pounds by minimum. So you've got to think about, and this 12,000 pounds saving is if you've got National Insurance charge. If you're obviously running property, your total tax is actually just 28,350 versus 20,000. So you're just saving 8000 pounds. But I'll tell you, 8,000 pounds saving, is a lot to be said. So, always take advice before you set up companies and make sure you think about the future as well. We've even had clients where by they've set up a limited company and after two, three years they've given up the high rate tax paying employment job. And as a result of that, I would have been saying: well, if I knew that in first place, I would have told you you should have kept the property income in your own name. Because when you have a limited company, you are likely to have more fees because accountancy fees are going to be higher. But more importantly, if you've got buy to let properties in there, and you have mortgages and you're paying between one and two percent more interest rates in a company that you would in your own name. So sometimes we are asking our clients: well, how long are you going to have this company is it going to be for five years or more? And if they turn around and say, well actually no, I'm going to give up my job in the next two years, then I would have said, well actually, just keep the properties in your own name and do what I did and refurb a lot of properties for the first two, three years. Build up your losses, and when you do eventually give up your job, you've now got a property portfolio that could sustain you. And hopefully keep you as a basic right tax tax payer and keeping down your accountancy costs as well. There's a lot to be said on that one, isn't there John? But I do think it's worth speaking to your tax advisor before you jump ship. I always find people attend a networking event, or they get to a Facebook group and they, you know, the big thing will be well I'm using a limited company and so should everyone else and unfortunately that's not true. It's only really beneficial for those where it's going to be a tax benefit later on. That kind of brings me to a wrap John so was there any kind of questions that you had or kind of clarification points that we should be discussing? John Wilson: Well, that was all pretty clear Simon. Let me just check my list here obviously it's a pre-record, so we don't have anyone on the call to ask questions. Obviously Section 24 as is something that, you know, we've been hearing about and people have been becoming more and more aware of. But are there any other kind of things like this coming down the line, in the future that people need to be aware of, or any other kind of tax considerations that are going to come out of the woodwork, in years to come? Simon Misiewicz: I think there will be. I think that's inevitable. I think the whole idea of making tax digital is on its way as well. So a lot of people that are using Excel spreadsheets, they're gonna have to use something like Xero or QuickBooks or something like that, so that they can send to HMRC their quarterly tax returns, which is going to come into effect in maybe two, three years time. So that's the next big thing for me. I don't think there's gonna be major tax changes if I'm honest. I do think there's going to be an attack on furnished holiday lets and serviced accommodation. Because HMRC are already seeing a lot of people now using those vehicles to minimise Section 24 and increase the massive profits that they're making so clearly that's an area that HMRC will start to look at and say well how can we generate more revenue for the government, I think there will be a knock on effect there. But I think making tax digital is probably going to be the major one. Most people are using spreadsheets. Most people telling their accountants on the 30th of January. You know what their income and expenditure is by a bag full of receipts. You're not going to be able to make tax digital work because you need to submit on a quarterly basis. So I think there's going to need to be an overhaul in terms of how you manage your business. I always say to people: if you're not managing your income and costs on a monthly basis, or using some sort of accounting system, to see how well you're performing, then you don't really have a business at all because there's no way of knowing whether you're in profit or not. I think making tax digital is a negative in many ways. Yes, it's more administration but I'm hoping that it will professionalise the industry to make landlords start to look at their numbers a lot more closely. John Wilson: Yeah, that's interesting. It's good to know that's on its way as well. Thank you so much for being with us. I think listeners are going to find that very interesting and perhaps some of it a bit scary, but at least you covered some some good ways of mitigating Section 24 changes. So before we wrap up, if you'd just like to tell people how they can contact you and where they can find you online. Simon Misiewicz: Yeah. So, but I'm always on Facebook. So make sure you add me as a friend on Facebook or LinkedIn if that's your preference but you can, like I say we've got plenty of articles about Section 24. Rent to rent as well is on there. So you can go to www.optimiseaccountants.co.uk. If you've got an accountant and you're happy with them, then you can book a tax call with us using the code JWP25, which is 25% and you can get a discount off your tax call. And if you want to you can book some time just yourself, you can book some time with your accountant or your joint venture partner. It's really up to you how you want to get the best solution for your tax planning in 2019. John Wilson: Okay. Well, thanks again Simon and speak to you again soon. Simon Misiewicz: Thank you, John.